“MercuryFM is The Station Everyone is Talking About. We pride ourselves in providing not ‘Just Great Music’ but also highly professional quality content across the station that brings a mix of listenership of nationalities from British Expatriates to Spanish, Dutch, Scandinavian and Norwegian listeners. Online we carry an impressive listenership of 93 Unique Countries and over 8k Unique listeners. “Our line up of presenters continuously provide quality content and station identity which is what makes us different to other English Speaking Radio Stations here. We provide coverage of Mercury from Alicante to The Mar Menor Coastal and Inland half to Madrid via our studios in Benijofar which is 30 Minutes South of Alicante. 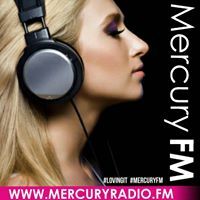 At Mercury we provide on air updates daily for UK News, Spanish News, Local Traffic & Travel along with on the hour Weather and Showbiz and Sport updates. We have gained a very strong place in the market and our listeners are not a specific age group, we find due to our dedication to music we keep the listener up to date with artists and increase their knowledge and most importantly we engage the listener for longer thus giving an all round listenership age. Meaning we have from the youngsters up to the age of late 70 year old that continually give us feedback. We launched Friday 6th March 2015 on test transmission with the official on air launch Monday 4th May 2015 and in 2016 we were finalist at ‘The Pride of Spain Awards’ for Business of the Year, where we came 2nd. A very proud achievement for all of us. New ‘MercuryFM’ car stickers are soon to be launched with sponsorship availability, based on quotation. Online: 93 Unique Countries and over 8k Unique listeners.